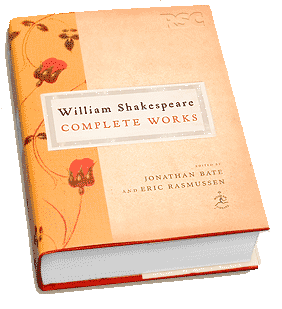 FROM THE WORLD FAMOUS ROYAL SHAKESPEARE COMPANY, THE FIRST AUTHORITATIVE, MODERNIZED, AND CORRECTED EDITION OF SHAKESPEARE’S FIRST FOLIO IN THREE CENTURIES. Skillfully assembled by Shakespeare’s fellow actors in 1623, the First Folio was the original Complete Works. It is arguably the most important literary work in the English language. But starting with Nicholas Rowe in 1709 and continuing to the present day, Shakespeare editors have mixed Folio and Quarto texts, gradually corrupting the original Complete Works with errors and conflated textual variations. Now Jonathan Bate and Eric Rasmussen, two of today’s most accomplished Shakespearean scholars, have edited the First Folio as a complete book, resulting in a definitive Complete Works for the twenty-first century. Combining innovative scholarship with brilliant commentary and textual analysis that emphasizes performance history and values, this landmark edition will be indispensable to students, theater professionals, and general readers alike. “The Passionate Pilgrim”, a tiny volume containing 20 sonnets and song lyrics, was attributed to Shakespeare on publication in late 1598 or 1599. It is a mix of five poems by Shakespeare (two of the sonnets, and three lyrics from Love’s Labour’s Lost), some by others and some of uncertain authorship. “A Lover’s Complaint” was published with Shakespeare’s sonnets and attributed to Shakespeare but his authorship has often been doubted, and recent scholarship (notably Brian Vickers, Shakespeare, “A Lover’s Complaint” and John Davies of Hereford,” 2007) has devastated the claim to Shakespearean authenticity and made a strong case for the authorship of John Davies of Hereford (1565?-1618), an admirer and imitator of Shakespeare. The Reign of King Edward the Third was published in Quarto in 1596 (registered December 1595), with no playwright’s name. Perhaps performed by Pembroke’s Men in 1592. Almost certainly predates a ballad based on the Countess scenes, which was published in spring 1593. Shakespeare’s authorship of the Countess scenes was first proposed in the eighteenth century (Edward Capell, 1760), though the play had been ascribed to him in an unreliable booksellers’ catalogue of 1656. Scholars debate as to the point at which he took up the writing of Scene 2 (from the entrance of Edward III? Or not until Lodowick’s soliloquy?). Some scholars claim to have detected Shakespeare’s hand in one or two later scenes; a tiny minority argue for his fuller involvement. Stylometric tests do not resolve the question. Arden of Faversham was published in Quarto in 1592 (registered April 1592), with no playwright’s name. Almost certainly postdates the publication of the second, 1587, edition of Holinshed’s Chronicles, the source for the story. First attributed to Shakespeare in the eighteenth century (Edward Jacob, 1770), though had been ascribed to him in an unreliable play-catalogue of 1656. Thomas Kyd, Christopher Marlowe and others have also been proposed as possible authors or part-authors. The most cogent case for Shakespeare’s authorship of at least the quarrel scene is made by MacDonald P. Jackson, in ‘Shakespeare and the Quarrel Scene in Arden of Faversham’, Shakespeare Quarterly, Volume 57, Number 3, Fall 2006, pp. 249-293. To date, stylometric tests have not resolved the authorship question satisfactorily, but largely because of such tests opinion is leaning more strongly towards at least a partial Shakespearean hand than at any time since the late nineteenth century, when such major Shakespeareans as Charles Knight and A. C. Swinburne argued powerfully for his authorship of the play.